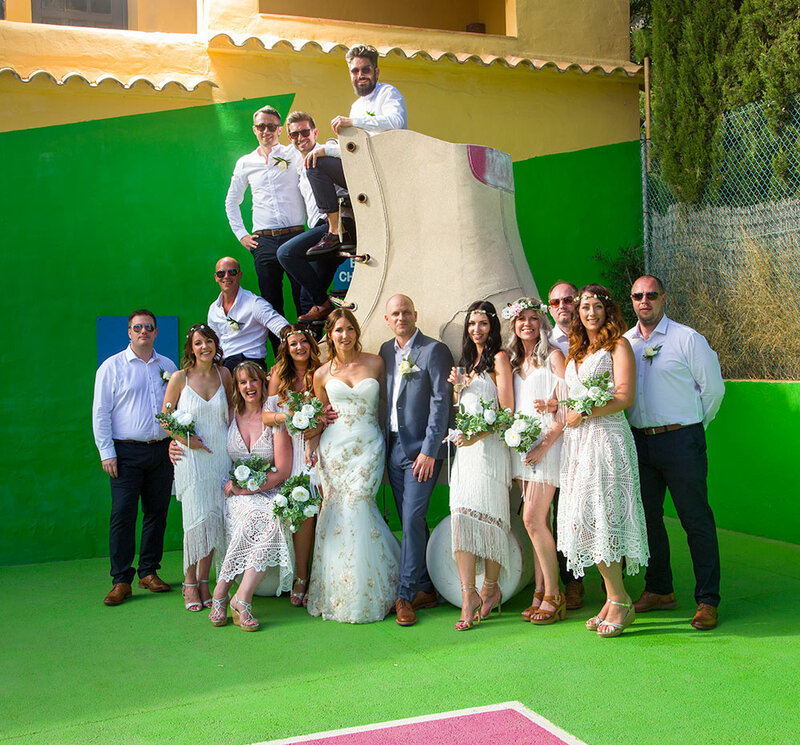 Group wedding photographs are a peculiar phenomenon. Everyone has a mild dismissive approach to them. Nevertheless, for every wedding we have photographed over the years, every wedding has wanted group photographs. Certainly, people enjoy getting involved in the routine of having certain tasks to undertake at weddings. The balance is therefore crucial. Too many and it quickly goes down hill but get the amount right and everyone will enjoy the formalities. I’ve noticed this with speech delivery at weddings. Very rarely will you manage to keep the attention of the wedding party for more than ten minutes. Get the speech length correct and people will thoroughly enjoy them. Again, balance is key. We would recommend keeping the group photographs to five or six. Bearing in mind the bride and groom will be present in all, any more than this and the couple will begin to tire. The heat does not help and in Mallorca and across the Balearics in July and August, it can become unbearable. Our approach is this. After the large group photograph with everyone, we then work our way through the largest groups until we have just the couple. What we find works best is any photographs with friends can be captured throughout the day in a more informal way. This way, the closest family members have the group photographs they wish for and the younger generation obtain the reportage style which seems more natural.